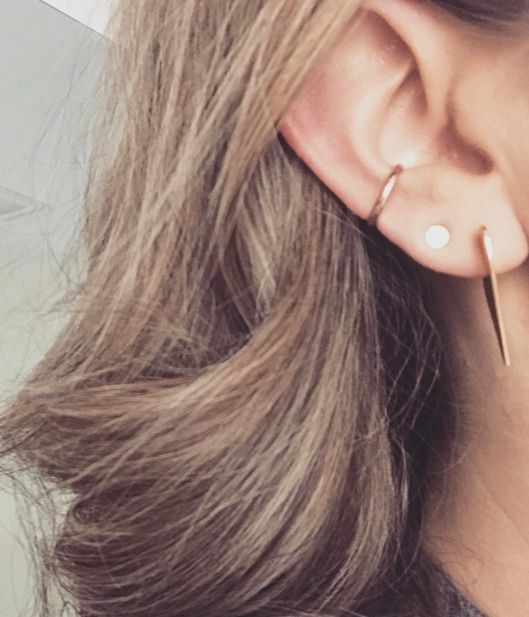 The everyday ear cuff - no need for a piercing. Sold in a set of 3 (gold, silver, and rose gold). Squeeze to fit. Love these! Very comfortable. I’ve been wearing two since they arrived and I never take them off! Don’t even know they are there! Getting lots of compliments and even people thinking it’s a real piercing. Would definitely recommend! These are pretty and they pinch closed easily enough. But I pinched hard enough to make my ear hurt. However within an hour of putting them on for the first time I lost one. So sad as they are versatile and fun. The three tones are great to style as you want. But again risky purchase. 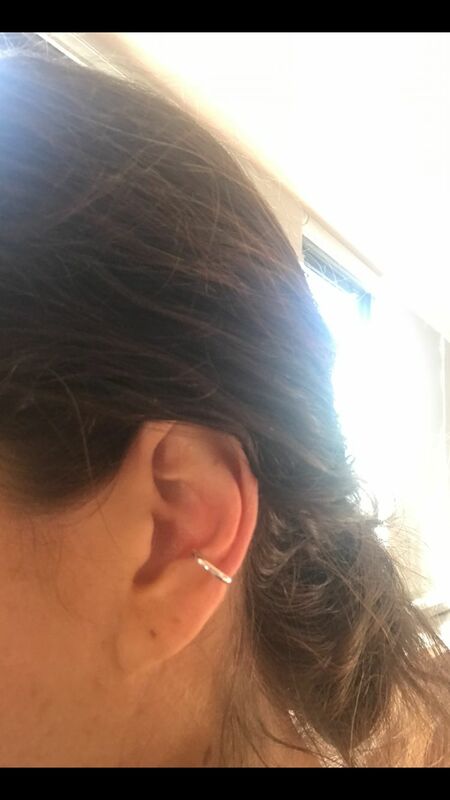 I've wanted a conch piercing for the longest time, but my last piercing took two years to heal and I didn't want to go through the process again. 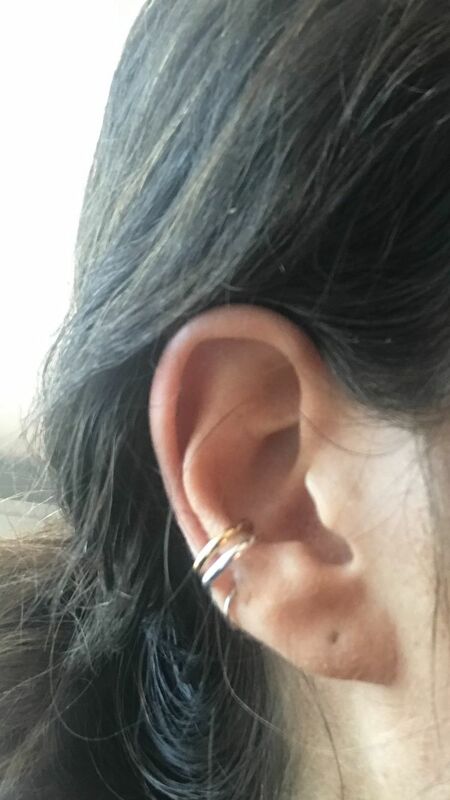 When I saw these ear cuffs I was thrilled because they completely eliminate the need for the piercing while giving me the exact look I wanted. The earrings are high quality and you get three different metals, so you can coordinate around your other jewelry. The cuffs are very comfortable and slide right on. I am in love! I love these ear cuffs! 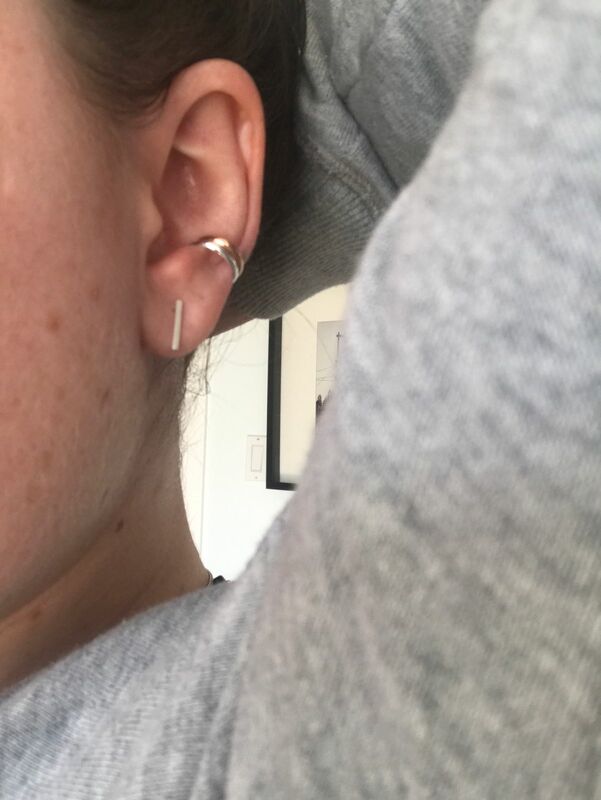 I wear them daily and love to switch the metals depending on what other earrings I’m wearing. They add the perfect element of interest and flair, and I’m so happy I’ve added them to my collection. This was a great buy. I can switch out to match my outfit. Love it!